KUALA LUMPUR, Feb 12 — Datuk Seri Najib Razak today said he will be getting a certificate of his degree from UK’s University of Nottingham to replace the original document which appears to have been misplaced. 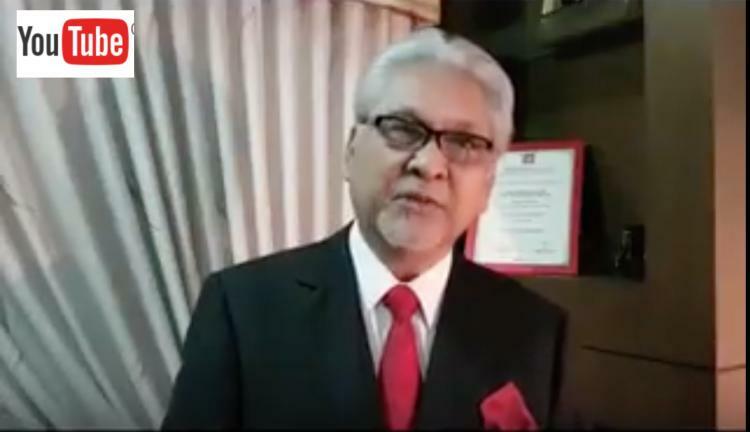 The former prime minister said he would publicly post the photo of his certificate on his Facebook account once he receives it. “Last week, I tried to search for the certificate for my degree at my home but was unsuccessful. “Maybe it was left behind when I left Seri Perdana after losing GE14,” he wrote on his Facebook account today, referring to his leaving of the prime minister’s official residence after his Barisan Nasional coalition lost federal power in the 14th general election. “Therefore, I have written to my University to obtain a replacement certificate. “They replied that it will be mailed to me within about a week’s time. “When I receive it, I will upload the photo of the certificate to this Facebook (account),” he added. In the Facebook post which was written in the Malay language, Najib stated that he had undertaken his primary and secondary school studies at the St John’s Institution in Kuala Lumpur, before furthering his studies at the Malvern College in UK. “Then, I studied at University of Nottingham and succeeded in obtaining a BA Hons Industrial Economics from there,” he said, adding that he was awarded an honorary Doctor of Laws degree in 2004 by the same university. Earlier today, Malay Mail had reported the University of Nottingham as confirming that Najib had graduated from the UK university. 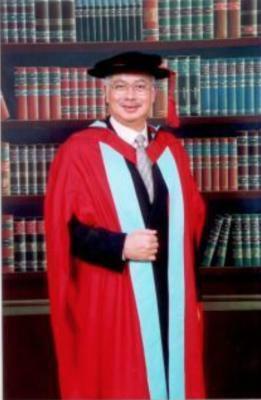 Najib Razak breaks down his education history – the photo he’s using as his profile picture is from when he received an honorary PhD from the University of Nottingham. is going to get its knicker in a twist to show somehow this Con graduated. They may Photoshop graduation certs, etc., but surely they should not forget his fellow year mates are still around, we would get their revelations. graduated from this university. It should release his degree record to prove that he graduated. to look into other ppls Uni qualifications & certs!!! Sarawak Report has a suggestion for the voters of Pahang therefore. To arrive at the truth about this matter they ought to challenge their incumbant MP Najib Razak to sign the release form that will enable Nottingham University, under its own dubious rules, to confirm to Abdul Rahman Mohd Noor whether their top funding alumnus earned his degree or not. Meanwhile, Sarawak Report will campaign for UK universities to reverse their retrograde, ridiculous and downright dangerous policy of keeping degree records secret. This entry was posted in Uncategorized and tagged Najib's Nottingham degree under the scope. Bookmark the permalink.